Blogger Dolske has recently posted about how he was able to receive and decode signals coming from inside his body. The signals originated from a Bravo Ph Esophageal monitor which is a small wireless sensor that is attached inside your body by a doctor. It is used to monitor pH levels within the body to help diagnose esophageal problems such as acid reflux. 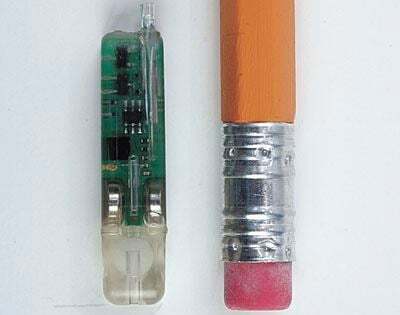 The monitor remains in the body for a number of days continually sending data to an external monitoring device which records and logs the pH data. Using his RTL-SDR, Dolse was able to capture the wireless monitors signal using information he found about the monitor online. He found that the monitor used amplitude-shift keying and transmitted at 433.92 MHz. After capturing some signals with the RTL-SDR, he looked at the captured waveform in Audacity and was able to decode a few packets by hand. 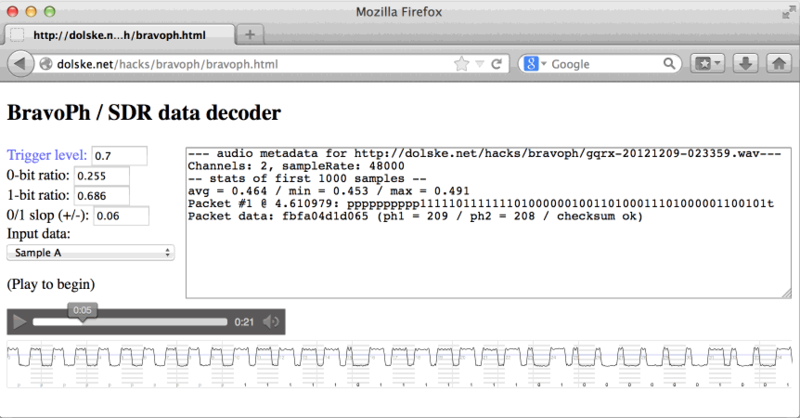 Finally, he went even further and wrote a Firefox browser based decoder which decodes and displays the pH data on screen. Web Interface for Showing Decoded pH data from the Esophageal monitor.